The World Rugby U20 Trophy, a sister tournament to the U20 Championship, which will be held in Georgia next year, is part of World Rugby’s pathway programme for age-grade rugby. The winner of the tournament will be promoted to the World Rugby U20 Championship 2018. As a result of Uruguay qualifying as hosts, this year’s Sudamérica Rugby U19 Championship runners-up Chile will take the region’s place. 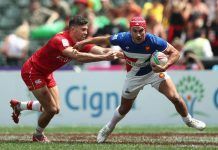 The eventual winner of the Rugby Europe U19 Championship will qualify, as will the winners of the Asia Rugby U19 Championship and the Oceania Rugby U20 Trophy. The announcement comes as Uruguay prepares to host the World Rugby Americas Pacific Challenge from 8-16 October, a new “A” team tournament introduced to boost the high-performance pathway for the test arena. 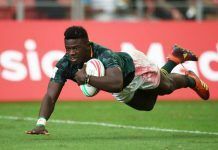 World Rugby Chairman Bill Beaumont said: “With more than 700 graduates making the leap from the U20 ranks to the test arena since 2008, the World Rugby U20 Championship and U20 Trophy competitions are becoming more and more important in the development of the future stars of the world game. “The U20 Trophy is growing in importance year-on-year and provides a crucial pathway for players from our high performance tier two and performance unions to achieving full international honours.